By following the steps provided below, you will be able to import orders to ANOW from Mercury in no time! 1) Begin by clicking your initials in the top right-hand corner of your ANOW account and navigate to the Subscription Add-Ons page from the drop-down menu. 2) Once you've reached the Add-Ons page, scroll to the bottom of the page until you see the MercuryNOW add-on and select ADD TO MY PLAN. 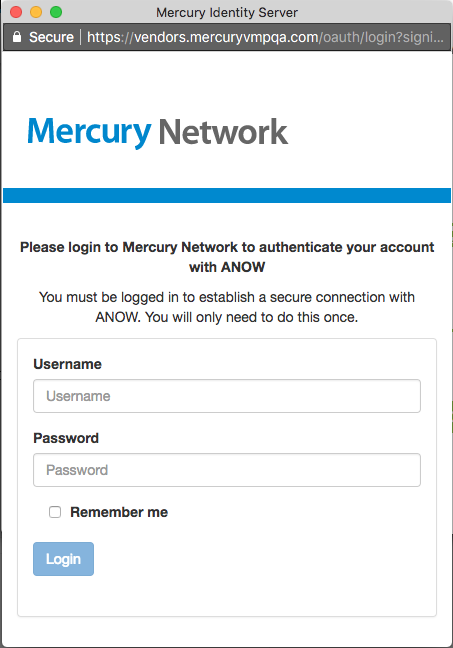 3) After confirming the add-on to your ANOW account, click the green Connect to Mercury button on the pop-up that appears. 4) Enter your Mercury credentials into the given fields, then click the blue Login button to sign in to Mercury. 5) A green box will appear showing the details for the Mercury account that has been connected to ANOW. 6) Once you have verified the correct Mercury account has been connected, you can start sending orders from Mercury to ANOW! Any orders accepted in Mercury will now be available in your Order Desk on the main Appraisal dashboard. You will also be able to tell that an appraisal came from Mercury if you see the Mercury Network logo in the appraisal details.